When we encounter original Victorian tiles we can be assured of one thing – and that is that they are very likely be at least 100 years old. However, what we can’t typically be assured of is the maintenance history of these tiles. Over the course of a century, these tiles can be exposed to a variety of cleaning and sealing methods, repairs and modifications, and very often coverings such as carpet and linoleum. 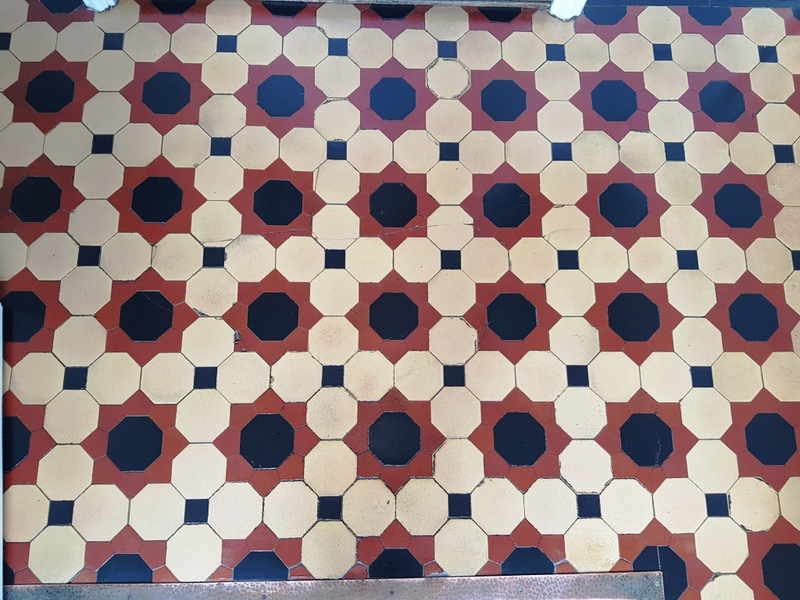 Fortunately, Victorian Tiles are very robust which is just as well as many customers of ours want their Victorian tiles to be restored their former glory despite years of neglect and poor maintenance. This example is of an unusual Brown and Cream Victorian Tiled hallway I restored recently in Buxton, a wonderful area which is sometimes referred to as “The Gateway to the Peak District”. 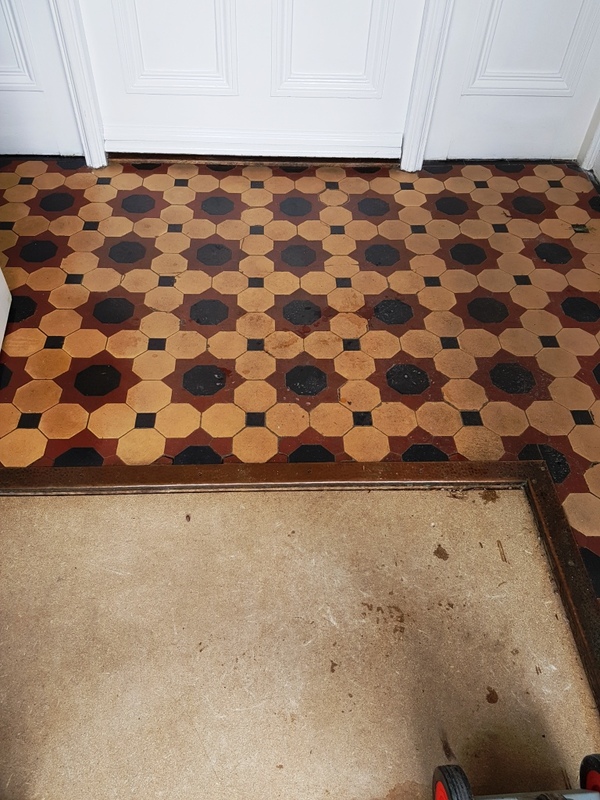 To begin the restoration, I applied Tile Doctor Remove and Go liberally across the floor and worked it into the tiles using a black buffing pad fitted to a rotary machine. Remove and Go is a multi-functional product which both strips old sealers and coatings as well as drawing out ingrained dirt and stains. 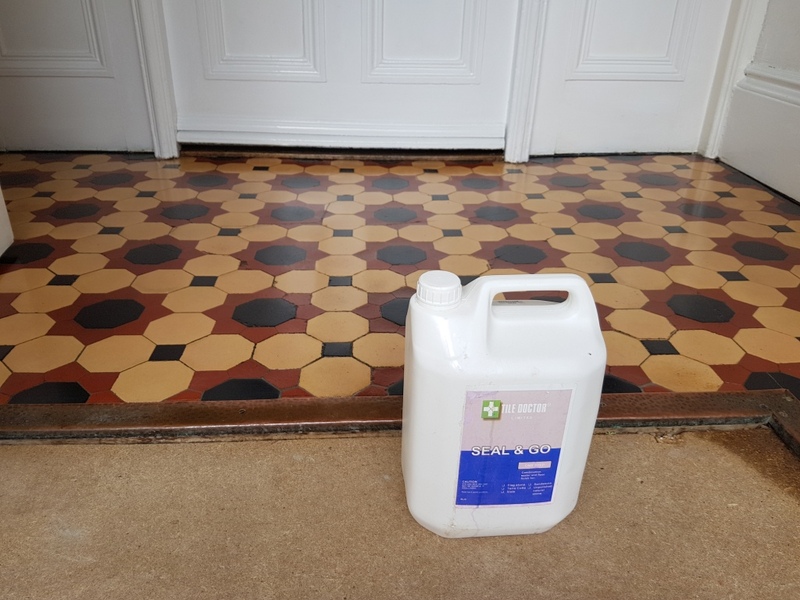 Next, I treated the area with Tile Doctor Acid Gel, which is a blend of phosphoric and hydrochloric acids in gel form, and is used to eliminate efflorescence and mineral deposits. 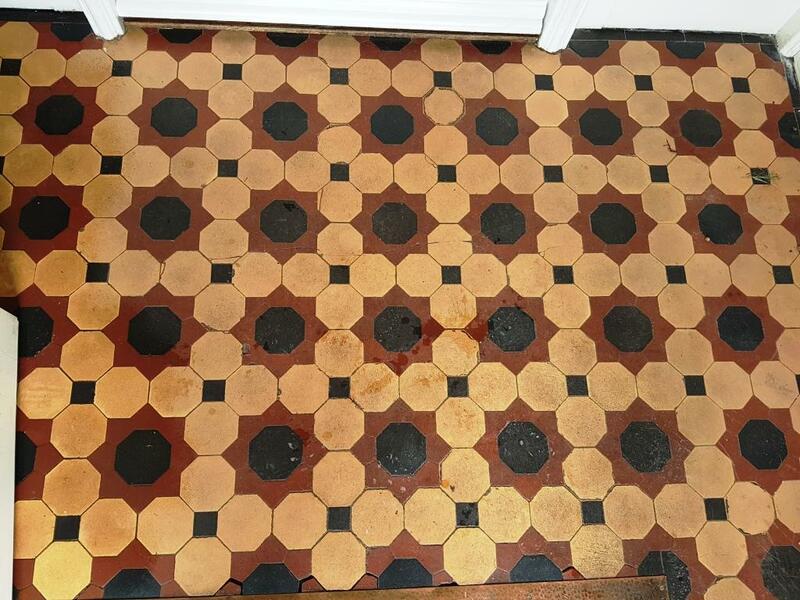 These problems are commonly caused by damp issues which affect old Victorian floors that lack a damp-proof membrane. I rinsed off the acid gel with water to remove any trace of cleaning product. The floor in question was only around 2m2 and since it was a very warm and sunny day the tiles quickly dried out (assisted with a little help from a heat gun). It’s important the tiles are dry before sealing so later that afternoon I was able to confirm this with the aid of a damp meter. 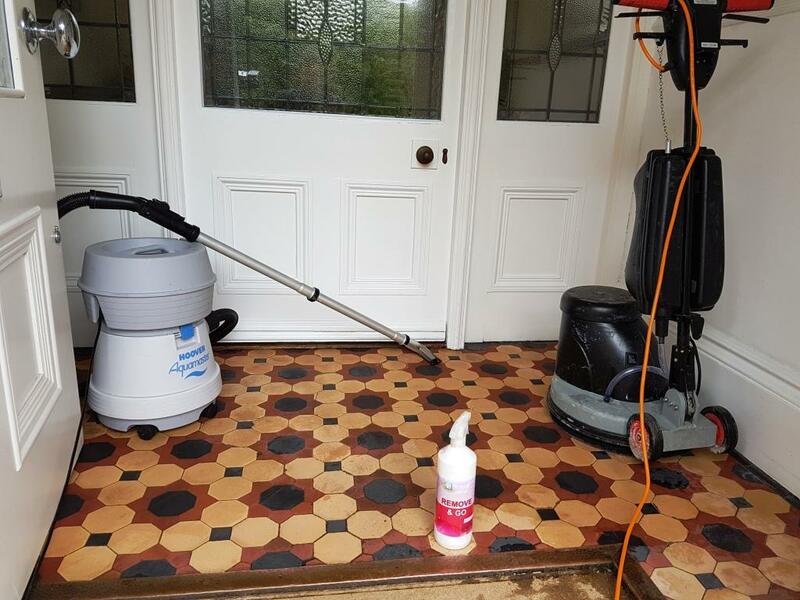 To seal the tiles, I used Tile Doctor Seal and Go, which is a topical sealer which provides both robust protection and leaves a smooth, glossy finish on the floor. Some customers choose to opt for a sealer which provides a natural-look, matte finish, but in this case the customer really wanted the floor to shine. I’m confident she will not be disappointed.